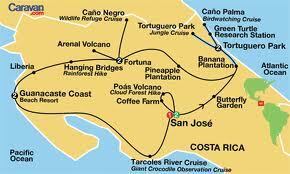 Today we joined our group tour for the first day of an extensive journey around Costa Rica. 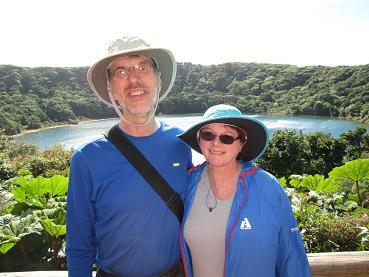 We were going to see samples of every part of the country, from the Central Valley to the Rain Forest to the Pacific, and several places in between. This morning started with a trip up to Poás Volcano. It’s a beautiful drive up to the park. It was almost the start of coffee season, and we saw lots and lots and lots of coffee plants with their little red berries. We also passed many houses; they were all heavily gated. You could do well in the wrought-iron-and-razor-wire business here. We were very lucky when we got to the top; it is often, if not usually, socked in by clouds, but today’s view was truly spectacular. The lake behind CVH in the photo is about 300 meters deep and has a pH of less than 1. The sulfurous stench of the fumes wafting up from the center of the earth was impressive. I’m breathing heavily in this video because the air is little thin for a flatlander like me. Notice how the acid environment stunts the trees and bushes in the foreground. 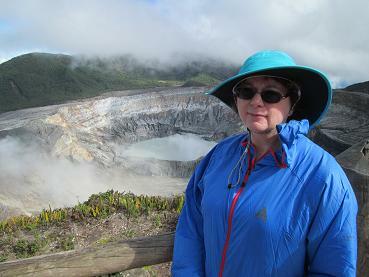 We climbed on up to the secondary Poás crater, the cold but beautiful Lake Botos at about 2500 meters altitude. No stunted vegetation here; it is surrounded by a cloud forest as thick and dense as anything in a Tolkien book. Despite it being a bright and sunny day, as soon as you stepped away from the lake and into the woods, it gets dark and you are surrounded by thick, gnarly trees all long and twisted around. You would think that you were in southern Louisiana or something instead of on top of a mountain. 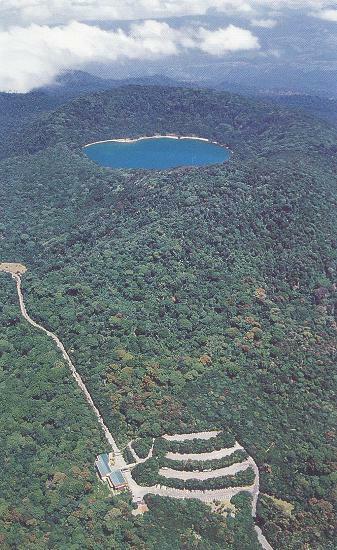 Aerial view of Lake Botos; you climb up from the parking lot at the bottom of this photo. 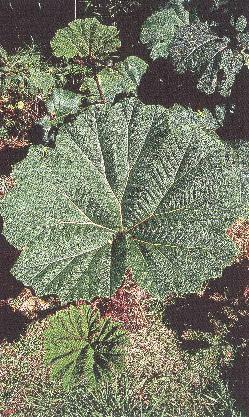 The “Poor Man’s Umbrella”, a surprisingly sea-level-looking plant that we only saw at altitude.